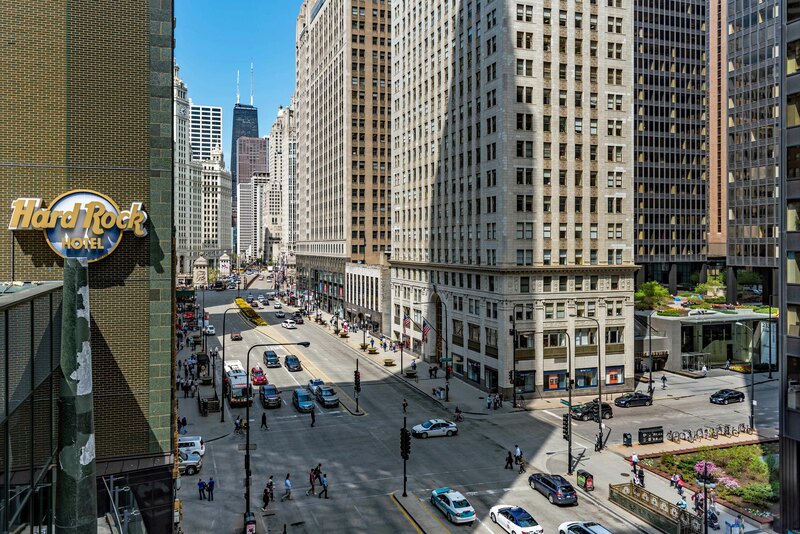 The year-round attractions at Millennium Park, the Riverwalk and the downtown theater district are just a block away from MILA, the new, high-service luxury apartment tower at the corner of Michigan Ave and Lake St. Residents are counting down the days until one of MILA’s seasonal attractions, the Loop’s only rooftop pool and sundeck, opens for sunbathing and splashing. Studio rents at MILA start at $1,869, 1-bedrooms at $2,207, and 2-bedroom, 2-bath apartments at $3,042 a month. One- and 2-bedroom corner units have balconies. MILA’s rooftop pool deck has south, east and west exposures that dish up great views. 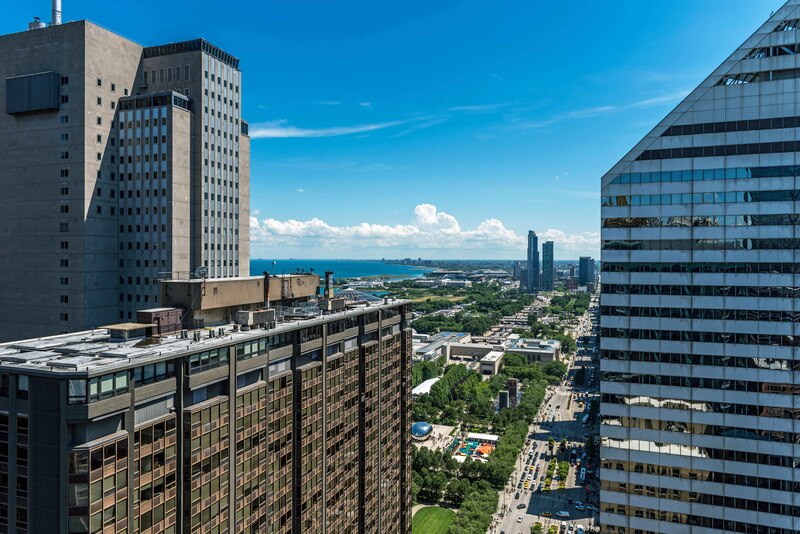 The southeast view over neighboring Millennium Park stretches past the Art Institute and the Museum Campus to Hyde Park and beyond. The Metra Electric stop, a short block south, reaches Hyde Park in about 15 minutes. The west view from the deck looks into the Loop. 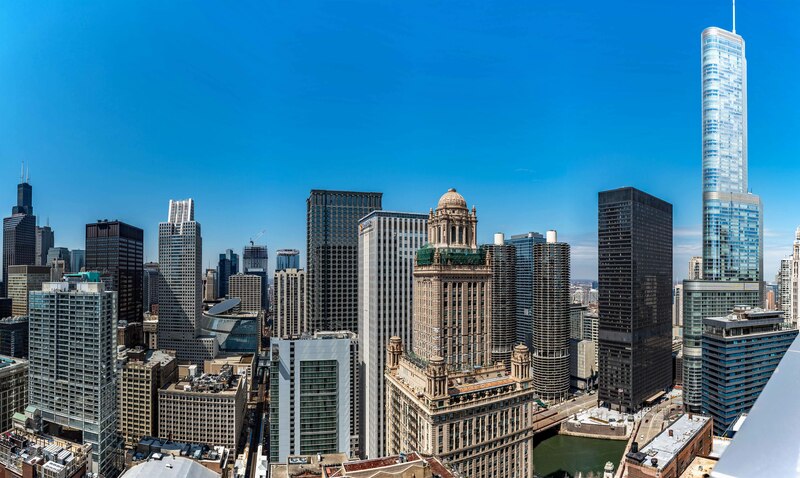 MILA’s spacious sky lounge has a dramatic view to the north over the nearby Chicago River. 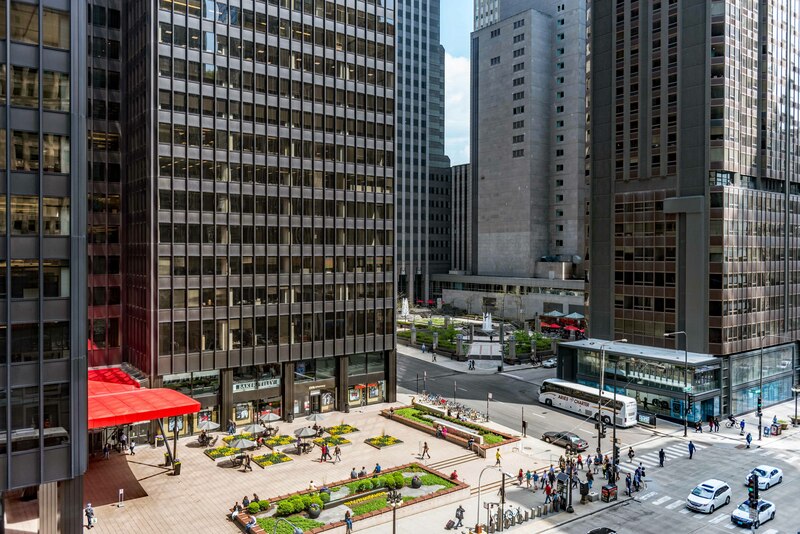 The 6th floor terrace at MILA has a view north toward the Riverwalk, Michigan Avenue’s Mag Mile and the Hancock Center, and across the street to Illinois Center offices and a CVS pharmacy. MILA has a full suite of amenities, is pet-friendly and smoke-free, has on-site management, maintenance and leasing staff, 24/7 door staff and a concierge.